Hammer Packaging was in need of a new animated Christmas card that they could send to all their clients. They talked to CI and we wanted to give them something that had some kind of a storyline. So Creative Ideology came up with a cute story of overworked elves wanting presents that needed no wrapping (since the packaging Hammer Packaging does is so beautiful it needs no wrapping). 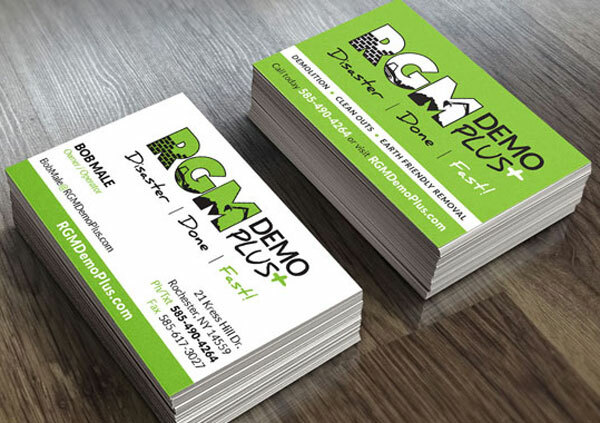 Congratulations to RGM Demo Plus on new brand! We are very happy to add RGM Demo Plus to our list of happy customers. They unveiled their new brand which turned out great and they are very happy with the results. Creative Ideology also designed the artwork that went into their company truck. It looks amazing! Look at their new look here. 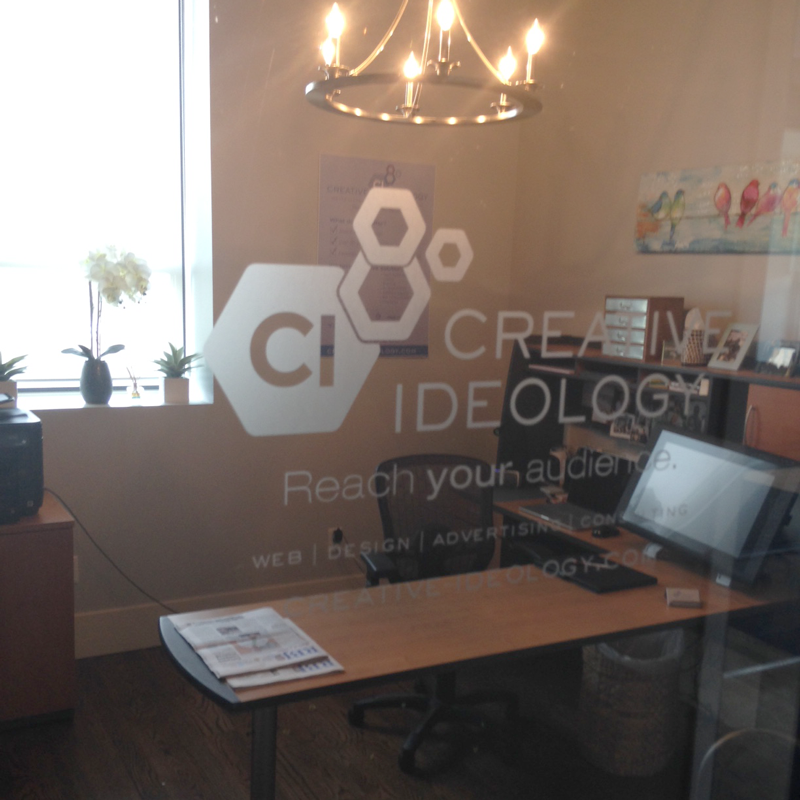 Creative Ideology has a new location! I am excited to announce our new location at 104 Frankfort Street in the beautiful Rochester Downtown. We are walking distance from High Falls area. We are in a newly remodeled building owned by Webster Properties, who has been renovating the State Street and Jay Street area for some time. They have bought some of the older dilapidated buildings and turning them into awesome spaces for up and coming businesses, as well as established ones. 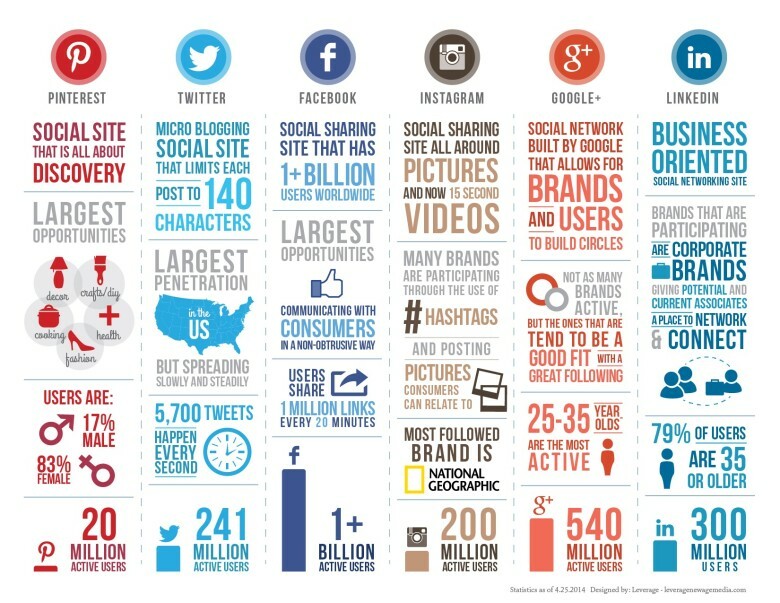 This is a great infographic showing how social media is used and by whom. It helps brands decide what will best represent their brand so they can focus their efforts to what works. Distinct Strategies LLC is now LIVE! 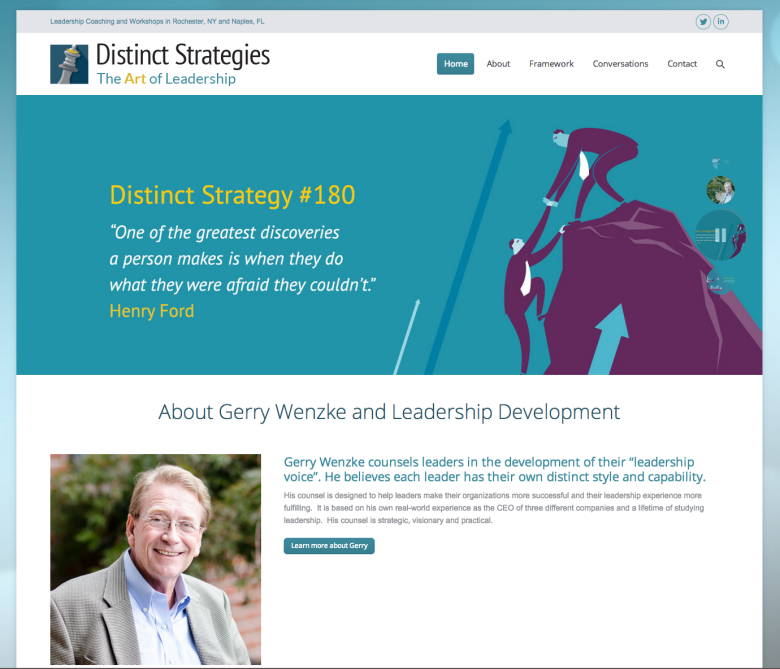 Distinct Strategies LLC is a leadership development company started by Gerard Wenzke of Rochester, NY. 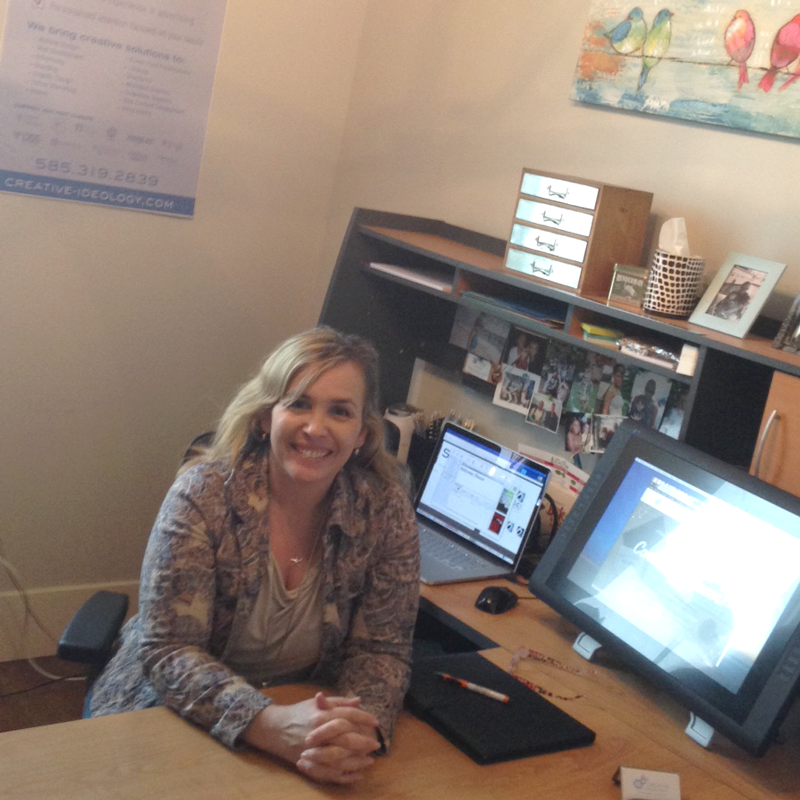 Gerry, as I now call him, came to us needing a new website so he could market himself to younger CEO’s that are web savvy. 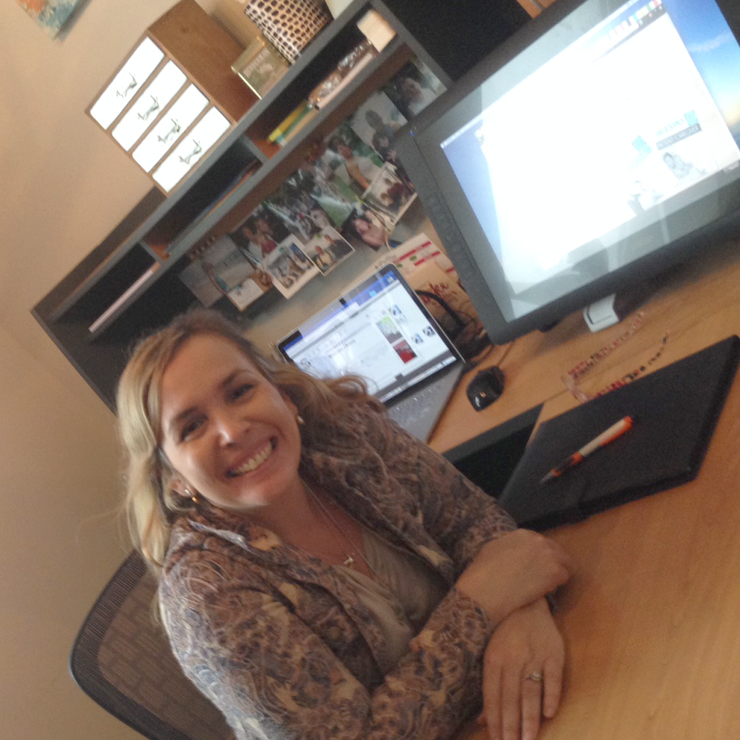 He knew his old website was not going to cut it in the mobile arena these new CEO’s were navigating in, so he came to Creative Ideology to get a new responsive website. Gerry not only ended up updating his website to a great new look but also updated his brand and a new way to talk about his services! 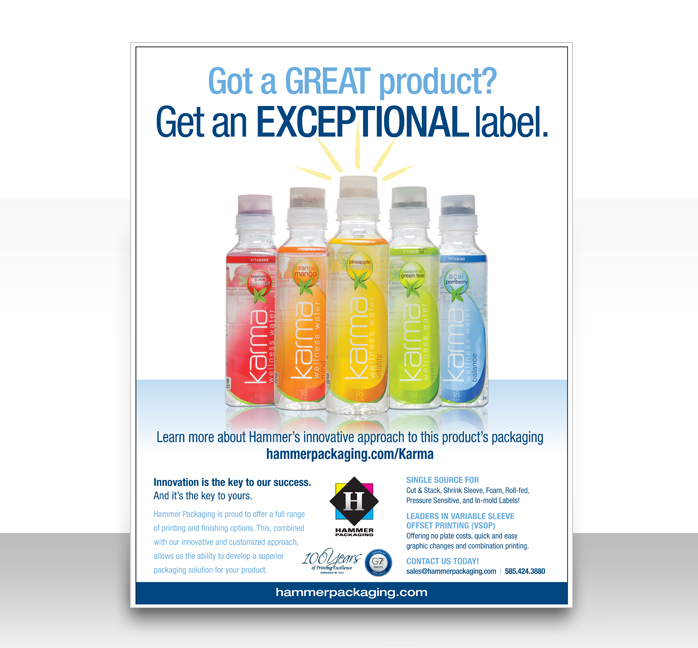 I am very proud and happy to announce that Hammer Packaging won an Advertising Excellence Award from Brand Packaging for the ad I designed, while at Archer, for their Karma packaging.